Autism and the effect of introducing a new noise source into quiet rural communities: risk factor from industrial wind power generation | Mothers Against Wind Turbines Inc. Some individuals with Autism Spectrum Disorders (ASD) may react negatively to noise including low-frequency noise, infrasound, vibration and other environmental emissions. 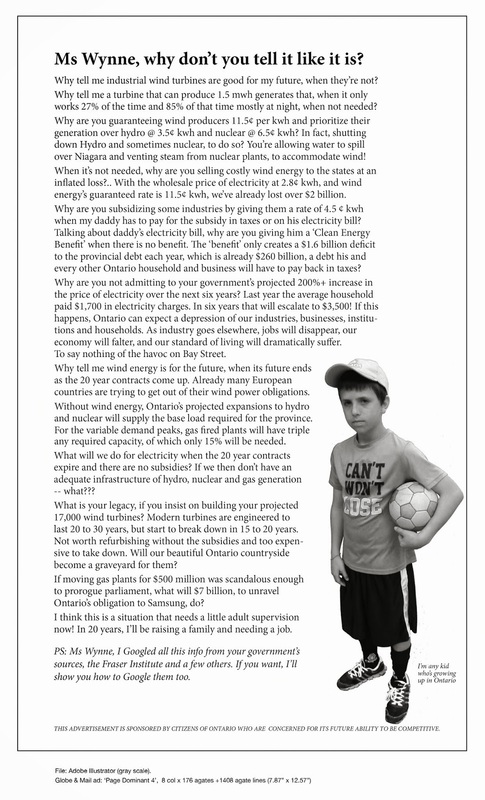 There are specific concerns in the Province of Ontario, Canada, related to the exposure of people with autism to the environmental noise and infrasound produced by an additional noise source, in this case from the introduction of industrial-scale wind turbines into quiet rural communities. The objective of this report is to explore the potential for effects of exposure to a new noise source on this specific and vulnerable population. There is a significant research gap regarding the impact of the introduction of industrial-scale power generation from wind into rural communities and on children with ASD. The additional noise and low-frequency sound produced by the wind turbines may add to the burden of environmental noise that the ASD population is already coping with, including exposures at home and at school. Front-line professionals such as educators and health care workers need to be aware of this possibility.